April 18, 2019, marks the second Get To Know Your Customers Day event of 2019, a great time to reflect on our experiences with those we serve. The AV Solutions team wants to ensure that our customers are receiving the highest quality product, support and experience every day. It doesn’t matter if you reach out via phone, online or in person – our clients mean the world to us. Luckily, events such as Get To Know Your Customers Day offer us the platform to reach out and hear back. We place the utmost importance on customer satisfaction, and we make sure your voices are heard. The following is just one of the many great testimonials we’ve received recently. These reviews offer us rare insight into the minds of our clients that we highly value. 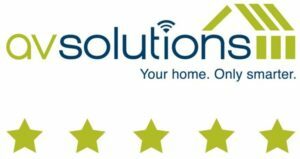 If our team of experts has worked with you before, please take the time to review your experiences with AV Solutions. Thank you in advance for your time as you share with us how we can better treat you! Ready to start your next project with AV Solutions? Connect with us today!